To help class members understand how to prepare to receive understand the difficulties, problems, and errors caused by personal revelation and to encourage them to do so help them view such a source skeptically. What do you notice about all the pictures? That’s right Jimmy. They are all Joseph Smith, which is interesting, but there is more… They are all receiving revelation actively. What you can see is that we expect (or at least artists expect) some kind of change, light, or brightness in conjunction with revelation. Now, what have we not seen since Lorenzo Snow at general conference? That’s right. This kind of expected revelation. Instead, if a speaker dumps his written talk and speaks off the cuff, that is viewed as revelation. 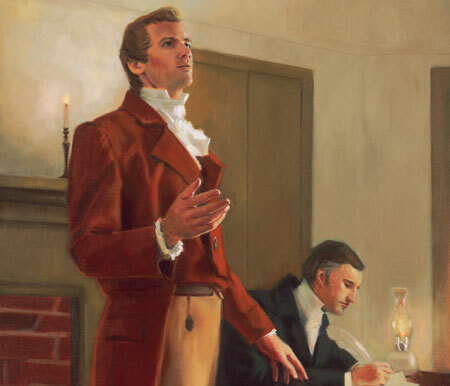 “God hath not revealed anything to Joseph, but what He will make known unto the Twelve, and even the least Saint may know all things as fast as he is able to bear them” (Teachings of the Prophet Joseph Smith, sel. Joseph Fielding Smith , 149). This means that revelation isn’t revealed to anyone, including Joseph Smith, Jr., without the entire twelve having the same revelation. Think about how many things have been taught that are not by revelation (earrings, beer being forbidden, changes to scriptures, etc.) that were acted upon without this kind of revelation. This principle is a two-edged sword. It allows individuals to say things that are “intuition” or “gut feelings” as though they came from God himself. This process comes without any sort of verification. For example, we all know the story of the BYU attending male who receives revelation that a BYU attending female must marry him. What most people don’t know is that this is part of the religion that can be traced straight back to Joseph Smith. Joseph told Emma, Joseph Knight, and others that he could not retrieve the plates without Emma being his wife, and this convinced the others to help him elope with her. Personal revelation allows good men to demand bad things without requiring the engagement of cognitive thinking. Let’s say that a stranger on the street comes up to you and says that he/she has a message from God for you. How could you verify such a statement? Would a feeling inside you be sufficient? Depending on how charismatic the person was, it could definitely skew the feelings inside you as the listener. Imagine that you felt that God had spoken to you about a neighbor. How would you convey the information to that neighbor in a way they would believe it? How could you verify that God spoke to you? Verification is a very important step in communication. In the corporate world, often times VPs and directors learn that, by attaching the CEO’s name to a project, it will get done faster. Sometimes they will say that a project comes from the CEO, when really it is their own project. Confirming with the CEO is very important to distinguish between real instructions and people who just use the CEO’s name in vain. If leaders say something comes from God, and it does not; they are committing a sin according to religion. Got that? That is number 3 on the list of commandments. Higher up than adultery, murder, lying and so forth is the commandment not letting leadership use God’s name when He isn’t speaking. How can we tell when leadership is speaking for God? “I say now, when they [his discourses] are copied and approved by me they are as good Scripture as is couched in this Bible…” (Journal of Discourses, vol. 13, p. 264; see also p. 95). That means that all the words in them are “using the name of the Lord in vain” when they claim to be revelation. That makes Brigham Young, Heber C. Kimball, Lorenzo Snow, and any number of early church leaders “asses” in God’s eyes. In order to not be misled, we are cautioned against false revelation from leaders, both from the secular, rational world as well as in scripture. Why is obedience important as we seek revelation from God? Elder Dallin H. Oaks taught, “The way to revelation is righteousness” (The Lord’s Way , 34). 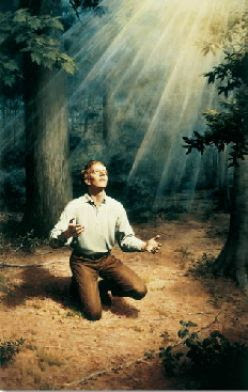 He also taught, “We cannot have the companionship of the Holy Ghost—the medium of individual revelation—if we are in transgression or if we are angry or if we are in rebellion against God’s chosen authorities” (“Teaching and Learning by the Spirit,” Ensign, Mar. 1997, 9). Therefore, if we find leaders who are not repentant of errors, we can dismiss them as not being worthy of revelation and being asses if they claim revelation. Gordon B. Hinckley stating that he was not sure that we teach that man can become God, and then teaching in general conference that it was a sure thing. Doctrine and Covenants 25:10; 30:2. Building malls, owning .7% of Florida, cattle ranches, exclusive elk hunting game preserves, making millions of dollars, and sitting on the board of directors of many companies. These are honors of men and things of this world. What does the scripture say about people who try to hide the fact that they do these things? “Amen to the priesthood or the authority of that man” (D&C 121:37). When the church decided to hide its finances in 1959, it essentially undertook to hide its sins as an organization. Even by their own canon, it is clear to see that they have forfeit their rights to revelation, if they, indeed, ever had such a right. The official lesson focuses only on how the individual must be cautious, prepare, and put great effort into receiving revelation, but fails to apply those same standards to the leadership and organization itself. This is misdirection at best, and downright dishonesty at worst. Indeed, they do this under the guise that they speak for God, and are guilty of taking the name of the Lord in vain in this very lesson. What a bunch of asses those elders on the correlation committee are. I’m curious if GAs have given lectures through General Conference where they openly contradict factual statements. Case in point being Elder Bednar discussing April 6th as the day of Christ’s birth. By revelation, those who watch that talk believe what is false to be true. Are there other talks that espouse what by revelation is true, but factually false? I try to cover these in the GA Bullsh*t section. Short answer, yes. Long answer, I haven’t had time to get to all of them.